This affordable AiO will offer some serious performance in its slim form factor. Dell’s Inspiron 27 7000 may be just the thing to convince some PC enthusiasts to give up their traditional desktop systems. Announced Tuesday at Computex in Taipei, this All-in-One PC sheds the form factor’s watered-down, locked-down reputation with powerful all-AMD hardware—including Ryzen CPUs, a first for AiOs. Surprisingly, it’s ready to be upgraded in the future, too. It’s been years since we’ve seen an-all AMD system from OEM vendors. Ryzen’s buzz in the DIY space and Polaris’s rock-steady performance have made it a reality once again. Inspiron 27 7000 prices start at $1,000 for a 4-core Ryzen 5 1400 processor and a 4GB Radeon RX 560 GPU. The graphics are basic, but you could expect to play most AAA games at 30 fps on High or at 60 fps on Medium with this set of hardware. If you want more oomph, a $1,300 combo with an 8-core Ryzen 7 1700 processor and 8GB Radeon RX 580 GPU will give you flawless 1080p gaming, a pretty damn good 1440p experience, and even full support for VR. Finally, opting for a $1,500 configuration upgrades the IPS display from 1080p to 4K HDR—though don’t expect the RX 580 to bring its A-game at that resolution. You’ll still want to stick to 1080p when you load Doom. Aside from Ryzen, the Inspiron 27 7000’s other standout feature is its upgradability—a nearly unheard-of characteristic for AiOs. Dell keeps it simple, too: It’s just two screws to access the storage, and three more to get at the motherboard. That’s right: You can upgrade your CPU. If you start with a Ryzen 5 configuration and want to upgrade to a chip with more cores or one that’s just newer (or both), the option’s on the table. AMD’s pledged to support the AM4 motherboard platform through at least 2020, so in theory, you could wait a few years and transform this AIO into a more modern rig just by dropping in a new CPU. Storage upgrades are similarly flexible. This Inspiron supports dual drives, so with both a 2.5-inch bay and a M.2 PCIe-NVMe slot available, you could start with Dell’s most basic option (a 1TB, 5400rpm drive) and upgrade later. That strategy would bypass the current high prices on SSDs and allow you to snag one when supply goes back up and good sales are plentiful once more. You won’t, however, be able to upgrade your way to Thunderbolt 3 support. Strangely, Dell doesn’t include it in this AiO, despite all the other exciting hardware. Instead, its port selection is rather tame: one USB 3.1 Type C port, four USB 3.1 Type A, two USB 2.0, HDMI-in, HDMI-out, an SD card reader, an ethernet jack, and a headset jack. The Inspiron’s 27-inch screen may not be as attention-grabbing as its hardware or upgradability, but there’s plenty to like—especially if you have cash to burn. 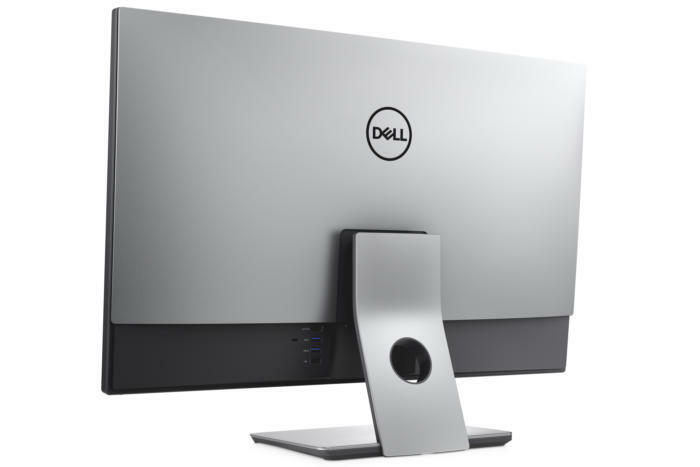 It’s an InfinityEdge display, so like Dell’s XPS laptops, the bezel framing the screen is extremely narrow, making this AIO look more compact. The matte coating means you can place the Inspiron just about anywhere without having to bother about glare. And of course, you have the option to upgrade to a high-dynamic-range 4K panel that supports stunningly gorgeous HDR10 content. Blame the bezel design, however, for the integrated IR webcam’s awkward placement along the bottom edge of the screen. We're already experienced the unflattering angle this creates when using the similarly placed camera on the slim-bezel Dell XPS 13. 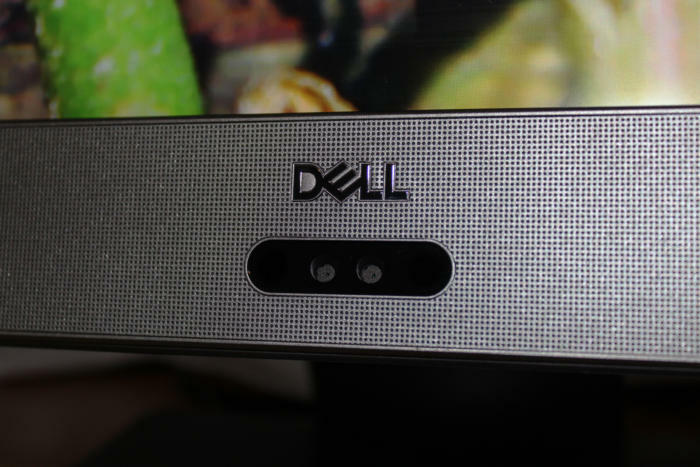 Dell defends the decision by noting that the camera sits about two inches higher than on the XPS 13, as well as farther back compared to where you'd position the XPS 13 laptop. Whether that means you’ll look better during video calls remains to be seen, however—I wasn’t shown the webcam in action during our demo. Dell also justifies the camera’s positioning as part of its Windows Hello support. The Inspiron 27 7000 lets you sign in using Hello at all times. With AiOs such as the HP Envy Curved All-in-One 34, which use a pop-up camera, facial recognition sign-in works only when the camera is popped out. If the webcam turns out to be a bust, however, it’ll be a minor disappointment easily fixed by buying an external IR camera. 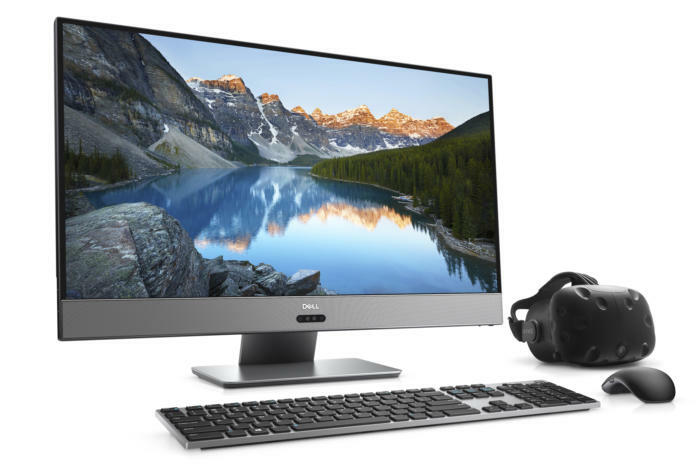 We rarely see a system that successfully combines the best of AIOs and traditional desktops like the Inspiron 27 7000. Typically, attempting to service these sleek machines voids the warranty, or requires investing in a serious enthusiast system like Origin’s PC Omni. The Inspiron 27 7000 should offer a lot of performance at an affordable price, while still allowing for some upgrades down the road—and keeping your desk free of clutter and cables.